Translation:Do you not have a normal spoon? Have you ever seen one of those disposable plastic spoons? That could be considered "abnormal". This question is commonly asked by my child, according to whom, any spoon other than a teaspoon is not a normal spoon! why 'spoon' and not 'spoons'? You have to understand what case is used in the sentence. Yeah "łyżki" is Nominative/Accusative of "spoons" (plural), but it's also Genitive of "spoon" (singular). Those three forms are identical for most feminine nouns. So, "mieć" (to have) takes Accusative. But it's negated here, and negated Accusative = Genitive (other cases stay the same when negated!). So if it's Genitive, then it means that it's a singular spoon. Also you can see it by 'normalnej', which definitely isn't plural. Lyzki has been translated as spoons in this exercise. 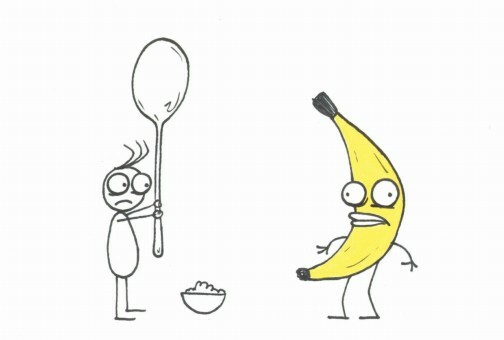 So, why is: Don't you have normal spoons wrong? As most feminine nouns, "łyżka" (a spoon) has the following three cases identical: plural Nominative, plural Accusative, singular Genitive. "mieć" takes Accusative. When it's negated, it takes Genitive instead (the only case that changes when negated). So as now you know that the noun is in Genitive here, it must be singular. I think that Erika is commenting here that the pop-up hint for "Łyżki" for this exercise gives "spoons" and only "spoons". Oh, right. Added "spoon", thanks. Nie masz normalnej łyżki?" Do you not have a normal spoon? Czy moge 'normalny' znaczy 'ordinary'? Can 'normalny' mean 'ordinary' in this context, please? Dzięki. That's closer to "zwykłej", but seems close enough, added.